The Salish Sea Chocolate Co.
She is a real foodie and a chef with experience in both the food and wine world. She is quite renown for her culinary soirees, preparing gourmet meals for special occasions like weddings, yoga retreats or just a fun get together for friends & visitors, always adding a touch of her own 'je ne se qua'. Colleen is the former co-owner of Malowneys Wine Cafe in Jasper, Alberta, as well as having been an important part of the success of the sales and tasting room at Salt Spring Vineyards for a number of years. Colleen has happily lived on Salt Spring Island for many years and feels privileged to have raised her daughter on this beautiful Island. She hails from Cape Town, South Africa, where she worked as the creative director for an interior decorating business. Colleen is also a master chocolatier, having studied at Ecole Chocolat in Vancouver. She is passionate about chocolate & the pleasures it brings. Colleen prides herself in providing exciting and top quality products. Her creative flair ensures that new products regularly come to market, with new ideas abuzz. 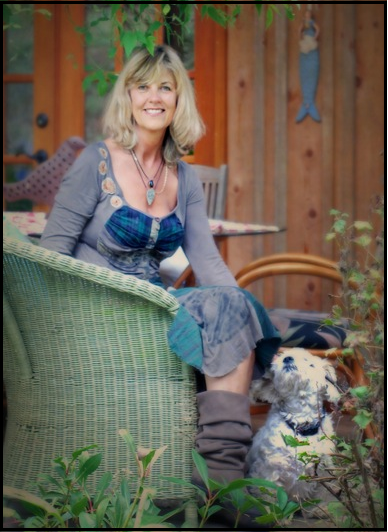 She strongly believes in promoting Salt Spring Island & endeavors to use local products and resources as possible.